It is a very good book. looks like a good book to read it would be somthing up my ally I hope I can read it!!!!!!! !The title cover lookks very good.When I read the reiew it makes me want to read the book. 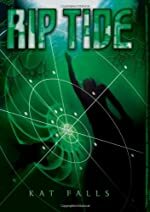 So once again I hope I can READ RIP TIDE!!!!!!!!!!!!!!! That sounds like a very interesting book. I think i'm giong to try reading it.